With last month’s high-profile signing ceremony of the Paris Agreement by 174 countries at the United Nations, the complicated process to turn these historic commitments on climate change into reality has begun. Yet away from the cameras, the more difficult process of financing implementation of these commitments is getting a boost from what may seem an unlikely source: the Chinese government. China will host the G20 Summit in September and its leadership has made “green finance“ one of the pillar issues of its presidency. Reflecting this priority, China is becoming the global testing ground for innovative concepts in green finance with an ambitious domestic program for financing green growth. If successful, this model could drive standards and practices for the rest of the world. The concept of green finance is a relatively new, but through necessity, China is staking out a leadership position. As China struggles with air pollution as well as soil and water contamination during a time of slowing economic growth, the transition to low carbon growth has become an opportunity to spur economic growth. As Zhou Xiaochuan, Governor of China’s central bank, said during the recent Spring IMF/World Bank meetings in Washington, DC, “green finance is a strategic priority.” Zhou estimates the costs of cleaning up China’s environment alone will run over $600 billion annually for at least five years. The Chinese government can meet only 15 percent of that estimate. Alternate sources of funding must be found — a problem that will be replicated in many countries as pressure to implement the Paris Agreement increases. Globally, the challenge of increasing public and private sector investment into green projects is not one of a lack of financial resources. 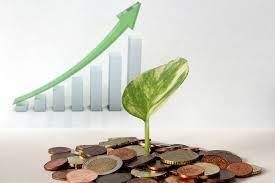 There are significant amounts of private capital seeking green investment opportunities. The challenge is efficiently matching this private capital to existing and new green opportunities. For that to occur, the global community must develop the necessary financial infrastructure to move green finance from what is now viewed as a cottage industry to become part of the financial mainstream. Governments should take the lead in creating the policy and regulatory environment for attracting private capital. This structure should include providing long-term incentives, such as subsidies or preferential terms for green projects, as well as introducing means to promote the adoption of green practices. To be successful, in short, green investments must appeal to private investors. China is attempting to do just that. While the international financial community is debating definitions of “green”, China is moving full speed ahead. Last year, China announced its intention to merge its seven experimental carbon exchanges into a national market by 2017. The challenges are enormous — from inadequate reporting of emissions data to oversupply of permits that drive down price. But if China succeeds, it will create the world’s largest carbon exchange. At the end of 2015, the People’s Bank of China launched the catalogue of green bonds. China now accounts for 50 percent of the world’s green bond market, issuing a breath-taking $80 billion worth in the past six months alone. These numbers will continue to grow rapidly, especially if the Chinese government implements the proposed policy and regulatory changes needed to ensure that high quality green projects are available for investment. To strengthen the project pipeline, the Chinese government is honing in on promoting greater energy efficiency in its vast building stock. China is home to half of the world’s construction, and buildings account for some 40 percent of global greenhouse gas emissions. The central government intends to upgrade building codes with higher standards for new and retrofitted construction projects. Individual cities are planning to go even further. Zhuhai, a 1.5 million person city in Guangdong province, is planning on adopting a 100 percent green building requirement for all future municipal construction. China State Construction, the world’s largest construction company with over 7,000 projects globally, is planning to upgrade its own green standards for the materials used in its building, bridge and high speed train projects and is exploring how to ensure that its suppliers do so as well. In support of this drive for greater building efficiency, China’s 13th Five-Year Plan calls for the development of innovative funding models, including public-private partnerships. The Office of the Central Leading Group on Financial and Economic Affairs and the Paulson Institute are supporting the development of a Green Building Energy Efficiency Fund. This unique structure aims to combine government and NGO support with U.S. technology and Chinese financing. It is a prime example of how U.S. innovation can be combined with the opportunities available in the Chinese market to mutual benefit. There is still a long way to go both in China and internationally. But as President Xi hosts his G20 counterparts in Hangzhou this September, he will be in a strong position to build international consensus around green finance, just as he did in Paris on the climate change commitments. If successful, this G20 meeting could become as significant to green economic growth as the Paris Climate Summit was to climate change.